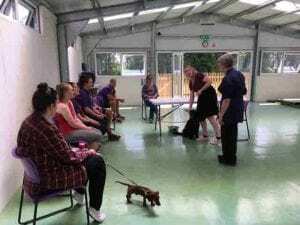 New regulations now allow licencing authorities to attach a star rating to all animal care licensed businesses. 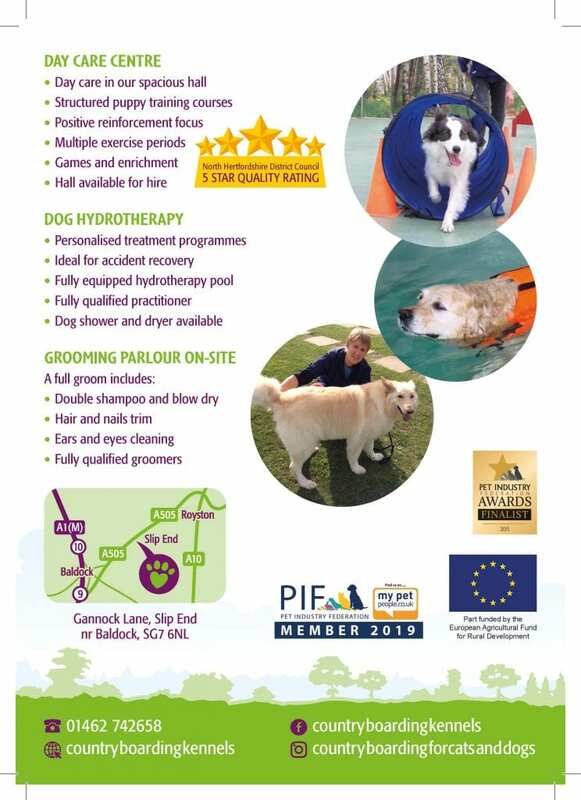 We are proud to announce we have been awarded 5 star ratings from North Hertfordshire District Council commencing January 2019 for both our Dog Hotel and Day care services. 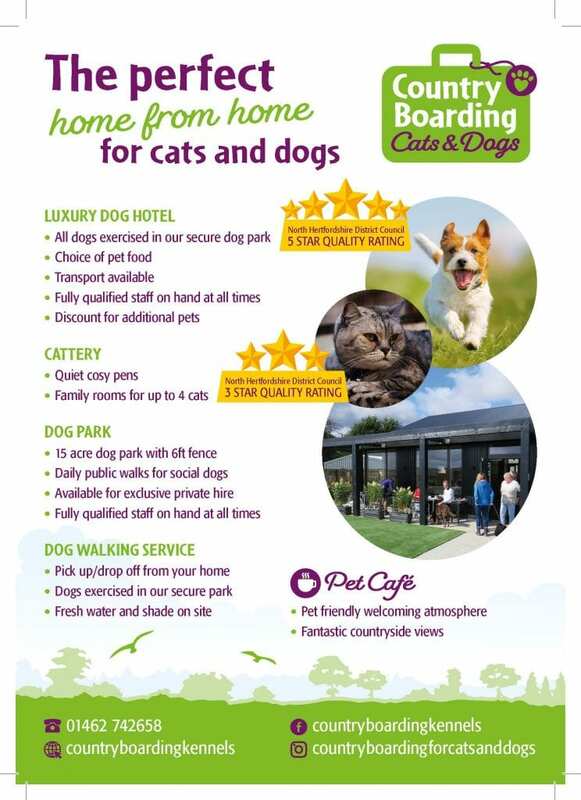 Call us on 01462 742658 to find out more or arrange to visit. Country Boarding is where your dog makes friends! 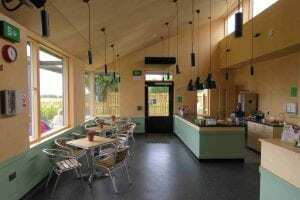 After years of planning, our new reception, cafe and training hall are all complete and open for business. Call 01462 742658 for more information. 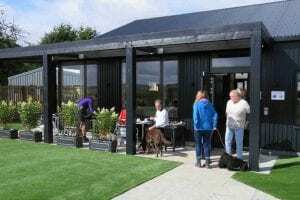 The facilities are also available for hire. We look forward to welcoming you here soon! Good News! 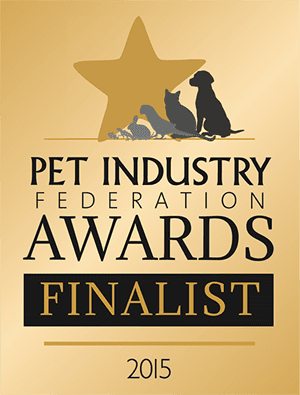 This year, we entered the Pet Industry Federation’s Pet Industry Awards 2015 and we have been shortlisted as a finalist in the KENNEL OR CATTERY OF THE YEAR category. Bad News! 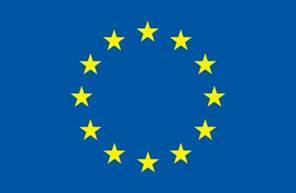 We will have wait until 17th November to hear the result at the Pet Industry Awards dinner on 17th November.